Our specialists can provide professional advice to ensure your air compressor, its filter oil, fluid levels, air filter and compressor belts are running well. We can service, repair or replace all air compressor parts to maintain the lifespan of your unit. Give us a call or bring your air compressor in for us to have a look at. We offer three service and repair options around Queensland to best suit each customer’s needs. We provide servicing and repairs of all unit types at our Compressor Care workshop, north of Brisbane at 362 Leitchs Road, Brendale. Air compressors can be serviced and repaired within the Brisbane Metro region. In addition to these services, Compressor Care offers a free loan air compressor unit while their compressed is repaired. Repair Warranty: For repairs our warranty is 3 months from the date of repair as long as the product was faulty. Air compressors are lower maintenance than other motor types, but we can help fix any issues that may arise. Keeping up with regularly maintaining your unit can save you thousands of dollars on electricity and broken parts, as well as saving valuable time. 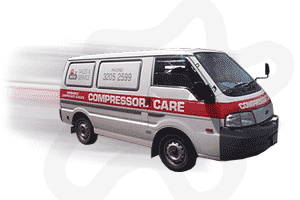 We pride ourselves on our combined knowledge of all types of compressors in Brisbane over the past 30 years. 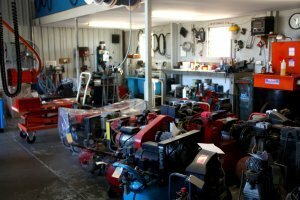 Does Your Air Compressor Need Repaired or Serviced? If you’re unsure why your air compressor is not working to its full potential, talk to our team of professionals. Keeping up with regularly maintaining your unit can save you thousands of dollars on electricity and broken parts, as well as preventing the need to purchase a replacement unit. We recommend booking regular maintenance checks and service program for your unit, before a complication arises.